Ace Hardware Corporation, the world’s largest hardware cooperative, is proud to announce its global store count has exceeded 5,000 locations. The momentous news was announced today in front of thousands of Ace Hardware retail store owners, corporate team members and vendors at its spring convention in Atlanta. “At a time when a majority of brick and mortar retailers are facing declining store counts, decreased customer transactions, stalling sales and massive layoffs, I’m delighted to share that Ace’s global store count has surpassed 5,000 locations,” said John Venhuizen, President and CEO, Ace Hardware Corporation. Ace Hardware stores can be found around the world, from Indonesia to Nicaragua and Anchorage, Alaska to Miami, Florida. Ace stores proudly deliver helpful service in more than 60 countries and in all 50 U.S. states. The 5,000th store to join the Ace organization is owned by Tim and Kerri Jacobs. The Jacobs family has acquired the 140-year-old Weakley-Watson hardware store in Brownwood, Texas and will be affiliated with Ace Hardware going forward. Internationally, Ace retailers are opening stores throughout Asia, Latin America and the Middle East, along with new markets being explored from all corners of the globe. News of Ace’s 5,000th store announcement comes on the heels of a significant period of growth for the 93-year-old retailer. Notably, the hardware cooperative just completed its fourth consecutive year of increased customer transactions, five years in a row of net new store growth, and seven years in a row of increased same-store sales. In 2016 alone, Ace opened 207 new stores around the world, generating an estimated 4,000 new retail jobs, adding to the existing 100,000 red-vested associates that deliver helpful service daily in Ace stores. Ace also estimates that in 2016, its family-owned businesses paid more than $3 billion in wages and generated more than $750 million in operating income. New store growth at Ace is generated through three main vehicles; first, from existing Ace stores that decide to branch out and open additional stores; second, from competitor hardware stores that decide to affiliate with Ace; and third, from new investors, individuals entering the industry for the first time. “Ace’s impressive string of store growth and consecutive increases in sales and in-store traffic is powerful evidence that our model – rooted in local entrepreneurialism – is agile enough to adapt and bend where needed, without ever breaking our conviction to fortify around the timeless retail principles of servant hearts and human interaction,” said Venhuizen. Looking ahead, Ace plans to continue its growth momentum by opening more than 150 new stores in the U.S. in 2017. Continuing its focus on 20/20 Vision, the company’s long-term retail growth strategy, Ace will continue to equip its retail store owners with proven strategies designed to strengthen their existing business and, in many cases, open new stores. This summer, Ace retail stores will celebrate the brand’s 5,000th store milestone with an engaging in-store promotion for their customers. A social media campaign to showcase the unique and individual stories of Ace stores is also planned. 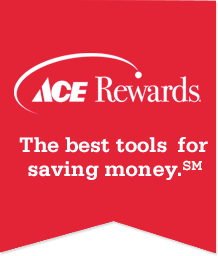 For more than 90 years, Ace Hardware has been known as the place with the helpful hardware folks in thousands of neighborhoods across America, providing customers with a more personal kind of helpful. In 2016, Ace ranked "Highest in Customer Satisfaction with Home Improvement Retail Stores, Ten Years in a Row," according to J.D. Power. With more than 5,000 hardware stores locally owned and operated across the globe, Ace is the largest retailer-owned hardware cooperative in the world. Headquartered in Oak Brook, Ill., Ace and its subsidiaries currently operate 17 distribution centers in the U.S. and also have distribution capabilities in Ningbo, China; Colon, Panama; and Dubai, United Arab Emirates. Its retailers' stores are located in all 50 states, the District of Columbia and approximately 60 countries. For more information on Ace, visit acehardware.com or visit our newsroom at newsroom.acehardware.com.